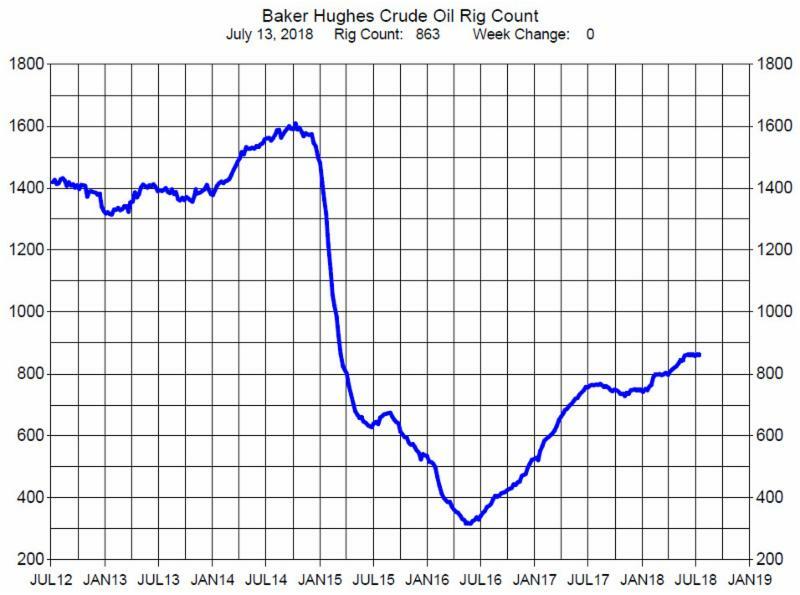 The Baker Hughes rig count report shows U.S. oil rig count was unchanged the latest week at 863. The rate of increase in rig count has definitely reduced. Given the current uncertainty of global crude oil supply and prices, the producers appear to waiting to see if prices will rebound from their recent fall.